The values-based approach is understood as the dominant paradigm in conservation and has been explored in conservation literature since the turn of the 21st century. It involves approaching the preservation of objects with the understanding that multiple stakeholders attribute value to objects. This paper critically examines a current interpretation of the approach in a museum setting. The Leventis Project at the Royal Albert Memorial Museum & Art Gallery (RAMM) in Exeter, United Kingdom, is an externally funded project that seeks to improve physical and intellectual access to the museum’s Cypriot and Greek archaeology collection. The interaction of theory and practice within the case study is explored with a special interest in understanding decision-making processes and the curator-conservator relationship. Critical examination of theory in conservation practice is an increasingly crucial activity among professionals today as the field moves towards a social conservation model. This case study ultimately evaluates the correlation between current interpretations of the values-based approach and social conservation, which can provide a platform for promoting the relevance of conservation in society. A body of shared knowledge, known as theory, is at the heart of any profession. Theory defines a profession, guides practice, legitimizes choices, and connects practitioners . The values-based approach is understood as the dominant theoretical model in conservation and has been explored in conservation literature since the turn of the 21st century. It involves preserving objects with the understanding that multiple stakeholders attribute value to objects. Noted educator and theorist Elizabeth Pye commented on the future of conservation in a recent interview, suggesting the profession is becoming “social conservation” . Social conservation envisions a wider dissemination of conservation knowledge and skills, inclusive of theory, within the field, to allied cultural heritage professionals, and the public alike. Pye believes that knowledge dissemination is a tool to promote the relevance of heritage conservation in society. With Pye’s prediction in mind, examination and presentation of theory as it directly applies to conservation practice arguably is an increasingly crucial activity. Though widely commented on, the values based approach continues to be interpreted in different ways across the conservation profession and merits ongoing analysis and presentation. This paper uses a case study to describe the current understanding and application of the values based approach to conservation in a museum setting. Case studies provide a platform for sharing conservation knowledge according to Pye’s social conservation model. This study elucidates where the application of the values-based approach is applied during decision-making processes and the curator-conservator relationship within the case study. Establishing a clear link between theory and practice is crucial to presenting and promoting professional knowledge and the relevance of conservation in a rapidly innovative, publicly accessible and, in the case of cultural heritage, underfunded world. In addition, engaging in self-analysis through a description of the current interpretation and practical application of the values-based approach allows current practice to be part of social conservation. Beginning with an overview of the current understanding of the values-based approach, the Leventis Project case study will be explored. This project, funded by the A.G. Leventis foundation, will increase physical and intellectual access to the Cypriot and Greek archaeological collection at the Royal Albert Memorial Museum & Art Gallery (RAMM) in Exeter, United Kingdom. Information for this study was gathered through a combination of the author’s participation in the conservation efforts of the project, interviews with pertinent staff members, and an examination of project goals. The Leventis Project seeks to promote intellectual access to a collection, a similar goal to that of social conservation. It provides a platform to expose current understanding and implementation of the values-based approach and the role it plays in Pye’s model. The hard sciences informed material-based approach to conservation dominated through the early and mid-20th century, but conservators now recognize that assessing and preserving the intangible elements of heritage objects, called values, is paramount. The latter half of the 20th century saw a significant theoretical shift in conservation activities. 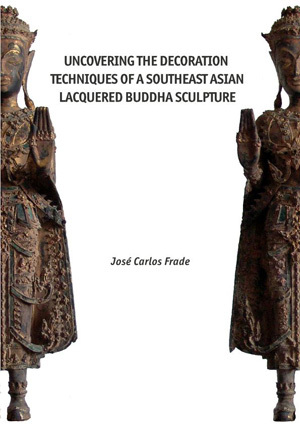 The scientific and craftsmanship informed material-based approach, which entailed upholding the original essence of a cultural object though preservation of its physical substance, informed much of 20th century conservation. The application of rational and scientific thought to conservation stemmed from the age of Enlightenment, when material evidence, objectivity, and the acquisition of knowledge towards finding an all-encompassing truth fueled scientific endeavors . Those holding scientific knowledge, among them conservation professionals, had the power to decide what to conserve and how to conserve it; in essence, they were deciding what constituted cultural significance . Though knowledge of material science and a scientific approach remain key elements of any conservator’s repertoire, in the last decades of the 20th century a notable paradigm shift occurred. Understanding the intangible characteristics of objects, such as the significance cultural heritage holds for individuals and groups, has become a necessity in conservation work. Considering an object’s significance to different stakeholders and the inclusion of those stakeholders in decision-making has become integral to the conservation process. The feelings, meanings, and cultural significance attributed to objects are referred to under the common term values. To understand the values-based approach, one must first examine the vocabulary used in the phrase. Value is defined by the Oxford English Dictionary as “the regard that something is held to deserve: the importance, worth, or usefulness of something” . In other words, values are assigned by society for reasons both tangible and intangible. Iris Kapelouzou, for instance, interprets value in conservation as the primary entity embodied in an object [6, p. 176]. The primary entity is tied to heritage identity and must be considered and preserved when undertaking conservation work. Generating beliefs about objects that contribute to their heritage identity has been explored in anthropological sources. Crawford Elder calls this projectivism, in which humans project concepts onto inanimate objects. He states that artifacts exist because humans have thoughts and feelings about them, and cultural heritage is part of reality because humans have the capacity to assign value [7, p. 34]. Barbara Applebaum supports this philosophy; she considers values to be cultural data resulting from human judgment [8, p. 86]. The values-based approach as it is currently interpreted is best understood through examining multiple sources, as multiple authors across the globe have attempted to define the approach. The Burra Charter , adopted in 1979 and reviewed in 1999 by the Australian International Council on Monuments and Sites (ICOMOS), was one of the first widely circulated documents to outline the preliminary ideals of the values-based approach. It is a framework in which careful consideration and analysis of cultural and natural value defined as “aesthetic, historic, scientific, social or spiritual value for past, present or future generations” [9, p. 2] must be undertaken prior to any preservation actions. The Burra Charter acknowledges that these values may change in the future. Examination of relevant values by those who are culturally, spiritually, or socially responsible for the object or place, known as interested parties, must occur before ethical decision-making can occur [9, p. 5]. This process includes understanding cultural significance, developing policy, and finally managing the implementation of policies [9, p. 4]. The approach quickly became essential in the conservation of ethnographic material as living cultures sought input and consultation in the conservation of indigenous artifacts by western cultural institutions, as was explored extensively by Miriam Clavir . The Getty Conservation Institute (GCI) also produced a series of research reports seeking to define the values-based approach [4,11,12]. In one of the reports, Marta de la Torre outlined the basic elements of the values-based approach indicating that it has the purpose of protecting the values of a cultural entity, be it place, or object as decided by, “designated criteria, government authorities or other owners, experts of various strips, and other citizens with legitimate interests in the place [or object]” [12, p. 5]. These reports promote the necessity of multiple stakeholders in conservation decision-making, but acknowledge a lack of cohesive methodology for assessing values. Other authors have attempted to create decision-making guides based on the values based approach such as Barbara Applebaum’s most recent publication where she related values to decision-making steps . Applebaum’s method uses information gathered from relevant stakeholders to characterize and reconstruct the history of an object based on values to determine the ideal state of preservation [8, p. xix]. She lays out a process of categorizing key values when making preservation decisions such as art, aesthetic, historical, use, research, educational, age, newness, sentimental, monetary, associative, commemorative, and rarity [8, p. 86-119]. In a similar case, the Government of Australia also created a decision-making guide to aid preservation workers in dissecting, assessing, and applying values to preservation actions . 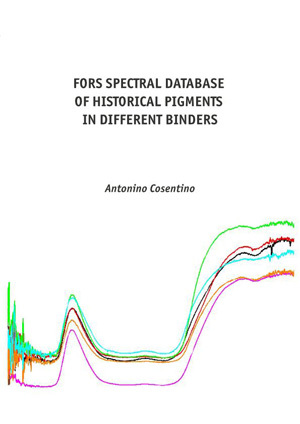 It outlines the assessment of values for cross-regional collections, sectors within a collection, or single items, the latter of which is specific to conservation work. Integrating contextual knowledge and stakeholder input is the central core of both decision-making approaches discussed above. An examination of current literature [6-18] and integrating elements of multiple volumes allows a basic overview of the values-based approach, as it is currently understood. Not only is the physical make up of an object taken into consideration when making conservation decisions. Values, varying from cultural, spiritual, economic, historical, and artistic, determine decisions. It is a collaborative approach to preservation as values are assigned based on information gathered from interested parties, called stakeholders for the purposes of this paper, including the conservator, members of the public and allied professionals. Multiplicity is a basic feature of the values-based approach. Objects have the ability to take on multiple values, and multiple stakeholders contribute to understanding those values. Finally, identified values contribute to decision-making during conservation work. Nevertheless, the values-based approach is not without criticism. Elizabeth Pye  considers the theoretical shift from a materials-based to values-based approach positing that increased critical thinking regarding preservation activities occurred as conservation became a recognized profession and moved away from the craft industries, leading professionals to realize the limitations inherent in imposing truth and fact on cultural objects. More than a decade ago she pointed out an increased movement towards diverse interpretations and including multiple stakeholders in conservation decision-making, while also indicating that this change requires ongoing critical reflection upon the actions of conservators and a stronger theoretical basis . These thoughts are echoed in a more recent conservation theory text  in which editors Alison Bracker and Alison Richmond stated “the past few decades have also witnessed increasing discomfort within the profession with what appears to be a lack of rigorous self-analysis” [3, p. xiv]. Marta de la Torre and Randall Mason of the GCI further pointed out the inherent issues of the values-based approach that conservators must tackle: “conservation professionals are faced with two particular challenges arising out of these social and political contexts: challenges of power sharing and challenges of collaboration” [4, p. 4]. Ultimately, a specialist is tasked with identifying and supervising stakeholders and managing the value assessment stage [20, p. 173]. Additionally, values can be conflicting. For example the use value which, in the conservation of monuments and buildings, can lead to renovations to ensure solidity and continued use of a site . These actions may conflict with the age value as incomplete or ruined monuments and sites may be dangerous to the public and therefore inaccessible . These comments indicate that there has not only been a shift in the why and how of conservation, but it points out the necessity of shedding insular attitudes and accepting multiple voices in workplace dynamics and decision-making. As is evident by the aforementioned publications that span a decade, conservation professionals are still coping with the paradigm shift from a materials-based to a values-based approach. Although study of the values-based approach is ongoing, and will continually change and adapt as the profession evolves, grasping the theoretical basis for conservation work and tying it to current practice can provide a platform for sharing and promoting conservation knowledge, a key element of Pye’s social conservation model . In the following sections the Leventis Project case study will be explored to shed light on the interaction of theory and practice and the application of the values-based approach. The Royal Albert Memorial Museum & Art Gallery (RAMM) in Exeter, Devon, United Kingdom, first opened in 1868, is a mid-sized encyclopedic museum boasting collections of Archaeology, Natural History, Ethnography, and Fine and Decorative Art. In the past decade, RAMM has undergone a multimillion pound redevelopment project . It included a refit of the 19th century museum building, constructing a large new off-site storage facility, redeveloping permanent exhibits and adding temporary exhibition space, along with moving the collections into a new publically accessible Collections Study Center. In conjunction with the physical redevelopment, RAMM’s curatorial departments have undertaken a collections review project. 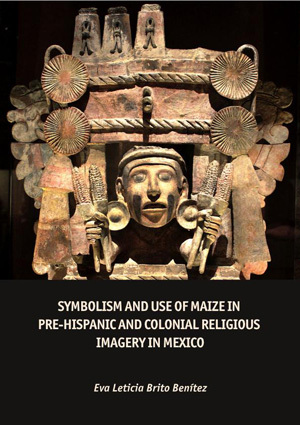 This in-depth study of RAMM’s collections aims to better understand the nature and extent of those collections, to recognize and more fully appreciate the significance of the objects held in trust by the museum, thereby enabling improved access and use of the collections by the public, on exhibit, on loan, in the handling collection, or for study and publication. Conservation work is a necessary component of the collections review as increased access and physical integrity of collections is paramount. The Leventis Project is an ongoing, externally funded collections review initiative to improve the Greek and Cypriot collections. The A.G. Leventis Foundation provided the funding necessary to revolutionize care and access the collection. The 450 objects comprising the Greek and Cypriot collection were under–used, understudied, and collections care did not meet professional standards. The ceramic, glass, metal and wood objects comprising the collection date from the Bronze Age to the Roman Period. Collectors with strong connections to Devon donated the objects in the museum’s care during the late 19th and early 20th centuries. Few objects had been formally published. Little to no provenance information for the collection is preserved, and is made up largely of donor correspondence, for example certain objects originated from Marsala, Sicily and Cameiros, Rhodes . Ninety percent of the collection is housed in storage and inaccessible to the public, though the Greek ceramics were studied by Brian Shefton of Newcastle University during the 1950’s and partially catalogued by a local historian in the 1990’s, the few surviving records for which are available at RAMM . The Beazley Archives has published seven ceramic objects from RAMM’s Greek and Cypriot collection . communities with Cypriot and Greek archaeology collections, improving digital access, and restoring physical integrity to stored collections. Photographing objects for both conservation treatment and documentation purposes will make available previously unseen objects in an anticipated online collections database . Meanwhile, increased time and attention spent on the physical care of the collection has lead to a deeper understanding of the significance of the objects regionally, nationally, and internationally. As key stakeholders in this ongoing project, curator and conservator, co-authors of this paper, worked together to understand and decide on the preservation needs of the objects. At the outset of the project, conservation staff advised during the funding application process on budgetary needs. Kirstie Williams took on the planned conservation work along with the aid of multiple conservation interns, which at the time included the first author. An informal curator-conservator relationship within the museum, trusting each other’s opinion, and openly discussing points of contention to reach mutual decisions are essential elements of professional collaboration for the Leventis Project. There are many common goals shared by conservator and curator on this project that are directly related to conservation treatment. Conservation work provides an opportunity to examine objects in depth and investigate collection holdings. Preservation actions also stabilize objects to enable study and display without causing further damage. Recontextualizing fragments and repairing broken objects allows aesthetic appreciation and facilitates study. Object photography for conservation records creates a passive viewing environment for objects, without the need to physically access them. Finally, maintaining the integrity of objects through improved storage conditions is also accomplished. Conservation work is integral to improving object care and providing physical access to the objects. It occurs alongside and contributes to curatorial goals, as increased physical activity within the collection will lead to increased intellectual activity. At the time, the grant proposal for the Leventis Project was submitted in December 2011, storage and packing materials for the collection were not up to professional standards and minimal conservation work had been done to the collection. Objects were stored in an 18th century building with little to no environmental controls risking pest, mold, and air pollutants. Many objects exhibit signs of black mold staining as a result of their storage environment. Archaeological collections at RAMM are typically stored grouped by material type in acid-free card stock boxes padded out with acid free tissue, however these boxes were packed over 30 years ago in the available materials of the time creating a potentially hazardous atmospheric and contact environment for vulnerable objects. Spot attempts at repacking in the recent past had unwittingly reduced access to the collection, in contradiction to the projects goal of increased physical access (Figure 1). Approximately 90% of the objects in the Greek and Cypriot collection were housed under similar conditions accessible only by request. Shock during transit was a concern as the whole collection moved into RAMM’s new purpose built, environmentally controlled storage facilities during the redevelopment project. Over- and under-packing was as a risk to objects. Under-packed boxes could potentially shift in transit risking physical shock to objects (Figure 2), while boxes that were over packed were at higher risk if the lid was compromised (Figure 3). An inefficient packing regime also risked disassociation of fragmented objects. Additionally, boxes containing glass and ceramic objects had been mishandled in the past, and as a result many objects suffered physical shock and subsequent damage (Figure 4). Figure 1. Previous repacking of objects reduced ease of accessibility. Figure 2. Under-packed box, objects at risk of damage due to physical shock. Figure 3. Over-packed box, objects at risk of damage due to physical shock. Figure 4. Cypriot jar damaged by poor storage conditions. All photos © 2012 Royal Albert Memorial Museum & Art Gallery, Exeter City Council. As funding was the limiting factor for conservation work, the authors constructed decisive categories for selecting objects for treatment based on their physical condition and immediate conservation needs. The authors feel it was counter-productive to value curatorial insight over conservation knowledge, or vise versa, and have therefore devised a method of working together. Curator and conservator meet informally, and through mutual professional trust assess each object requiring conservation work reaching a decision that will reflect the ultimate goals of the project, namely to facilitate access and intellectual activity amongst the collection. First, certain objects were identified in the grant application as requiring conservation to be put on display in the “Ancient Worlds” gallery . Second, a select number of storage boxes had been previously earmarked for conservation due to their delicate nature. Objects were selected from these boxes on the basis that they required conservation intervention to prevent imminent deterioration to their physical integrity or significance. As the collection was moved from the 18th century storage facility to the newly-built storage completed during the redevelopment project, conservation and curatorial staff gained access to boxes of Cypriot and Greek material that had not recently been inspected. Systematic inspection of these boxes revealed objects that required immediate attention to reduce risk of further deterioration. Finally, individual objects were selected for treatment if they possessed exceptional aesthetic or research significance. Conservation work for the Leventis project includes cleaning objects of air pollutant deposits, an endemic problem in the old storage facilities such as mold staining as well as typical museum dirt, while maintaining burial accretions . Certain objects require stabilization such as removing soluble salts or consolidating friable surfaces . To increase structural stability, broken glass and ceramic vessels are reconstructed if appropriate (Figures 6 and 7) [28-30]. Fills are added if required for support or handling needs in a non-obtrusive material and color . Archaeological conservation is typical in this regard, seeking to preserve the identity of an object though physical stability allowing them to be accessible as sources of information . Figure 5. During treatment photograph of ceramic cleaned of mold spores and staining with 50% Water and 50% Industrial Methylated Spirit (IMS) solution. Figures 6 and 7. Before (above) and after (bottom) treatment of a broken ceramic vessel. As conservation work progresses, allowing in depth assessment of collection contents, it has been possible to reintegrate disassociated fragments with their parent object. Conservation treatment also provides an opportunity to photograph and document objects. Packing and storage of objects with archival quality material is undertaken in a way that provides easy visible access and minimizes potentially detrimental handling requirements (Figure 8). The Cypriot and Greek collection, along with the rest of the Antiquities collection, is then moved into two of the museums newly built storage facilities, the on site Collections Study Center (Figure 9), which is open to public view from the gallery spaces, and the off-site facility. Both are environmentally controlled spaces with new compact and stationary metal shelving meeting professional preservation standards and are accessible to the public by appointment. Figure 8 (left). Objects in new storage containers. Figure 9 (right). The Collections Study Center at RAMM which the public can view from the gallery space through the window at the rear. Examining the Leventis Project case study in the context of published works on the values based approach allows an appreciation of the practical application of a theoretical model. Key elements of the values based approach including stakeholder collaboration and determination of values involved in conservation decision-making are evident in this case study, though they are applied in a distinctive manner. Revealing how they are applied in practice will further understanding of the approach and allow conservation to be more social, as Elizabeth Pye envisions . Key stakeholders for the Leventis Project are the curator, the conservator, the funding institution, and the public. The curator recognized the potential of the Cypriot and Greek collection at RAMM as a tool for promoting knowledge among the public and to encourage academic activity within the collection. While the conservator and her teams of conservation interns know that in order to increase intellectual access the physical object must be stabilized, repaired, and stored in a safe and accessible environment. The A.G. Leventis Foundation also has a vested interest in RAMM’s Greek and Cypriot collection to promote knowledge and communication of Cypriot and Greek cultural material. Finally, the public is a key stakeholder. As one of the main funders of this Local Authority museum, the public will ultimately engage with the collection online through the RAMM Leventis Project Blog, and the forthcoming online collection database [25,32]. This study reveals the curator-conservator relationship to be one based on professional trust and mutual understanding as both play a crucial role in the preservation of the collections at RAMM. The process is considered a two-way street between curator and conservator, decision-making on a curatorial level regarding significance and at the conservation level regarding physical needs of the object occurs at the same time. As was discussed earlier in this paper, one of the main criticisms of the approach is that conservators must share power and collaborate within the method, which can be a difficult adjustment to make . Arguably, the Leventis Project case study shows that the values-based approach can be effectively applied in practice, if stakeholders recognize their mutual dependence on each other to meet project goals. Turning to the values integral to conservation decision-making, a study of the Leventis Project illuminates the direct relation of project goals to values used for conservation decision-making. Seeking to encourage increased intellectual and physical access for the public contributes to conservation decisions that preserve research, educational and aesthetic values. These values are considered when selecting objects for treatment and during remedial activities in the lab to ensure the collection will be effectively preserved for study, will convey information about the past to the public, and will be appreciated as aesthetic objects. Additionally, new perspectives on the application of the values-based approach have emerged from this study. Notably, that the application of values in decision-making is cyclical in conservation work. Due to curatorial and conservation work on the Leventis Project values are not just assessed and applied to decision-making, but values are recognized as a result of mutual decision-making. The authors feel that the wider significance of the collection is only beginning to emerge. For example, improving physical care encourages closer examination of objects leading to increased intellectual activity, and increased intellectual activity recognizes the need for conservation work and more efficient physical access. Future plans for the project include inviting a consultant specialist to study the collection in relation to similar Greek and Cypriot collections in Britain . This goal intends to further understanding of the collections significance, and has been made possible by conservation work improving stability and accessibility to objects. Conservation is moving towards a ‘social conservation’ model in which insular attitudes are shed and clear communication with the public on decision-making and conservation activities occurs . A social conservation hopes to promote the relevance of conservation in society. Examining a case study, such as the Leventis Project, provides a platform to expose the interplay between theory and practice in decision-making and professional relationships. As was explored early on in this study some have condemned conservation for a lack of sound theoretical platform. Becoming more social will allow conservation to expand and share theoretical thought and conservation knowledge with the public and our colleagues in the museum. Though this study is small in scale, the translucent manner in which theory and practice are compared is a move towards advancing conservation knowledge. I would like to thank my colleagues at the Royal Albert Memorial Museum & Art Gallery (RAMM) for supporting this study by taking time out of their busy schedules to talk to me about the Leventis Project, review this essay, and teach valuable lessons on archaeological conservation. To my internship supervisor Alison Hopper Bishop thank you, it was a privilege to engage with the RAMM’s fantastic collections. This study was completed with the support of faculty and staff at the Fleming College Cultural Heritage Conservation and Management program in Peterborough, Ontario, Canada during the final semester internship. Megan is a recent graduate of the Collections Conservation and Management program at Fleming College and the University of Toronto Master of Museum Studies program. Megan’s focus is archaeological and ethnographic conservation and has research interests in conservation theory. She has undertaken conservation and collections care internships and contract work at the Maple Ridge Museum and Archives, Maple Ridge, Canada, the Royal Albert Memorial Museum and Archives, Exeter, UK, Trent University, Peterborough, Canada, the Royal Ontario Museum, Toronto, Canada, and the American School of Classical Studies, Athens, Greece. Currently Megan is acting as Outreach Coordinator for the Emerging Conservator Committee of the Canadian Association for Conservation. Kirstie Williams received a BA(Hon's) in Conservation and Restoration from the University of Lincoln, UK in 2008. She went on to work at RAMM as an Objects conservator (2008-2012) on their Heritage Lottery funded major redevelopment, where she also worked on the Leventis project. Recently, Kirstie took up the post of the as Organic's Conservator at the University of Cambridge Museums. Jenny Durrant is Assistant Curator of Antiquities at the Royal Albert Memorial Museum and Art Gallery, Exeter. She holds a BA (Hons) Archaeology from the University of Exeter and MA Museum Studies from Leicester University and has worked in the archaeology and museum sectors for ten years. She is experienced in archaeological object analysis, curation and collections management, and her research interests include Roman building materials, increasing access to museum collections and collections rationalisation.